I just brewed my 4th batch, which is an extract recipe for stone IPA. I made my first attempt at getting an OG reading as I just purchased a thief this week. Not sure if I did it correctly. After pouring wort and adding water to get to 5 gallons I got my sample. Reading was 1.056 after adjusting for temperature. Recipe states it should be 1.065. That seems pretty far off. One thing I thought of is that perhaps I did not wait long enough for all the hops / trub to settle in the bottom first. 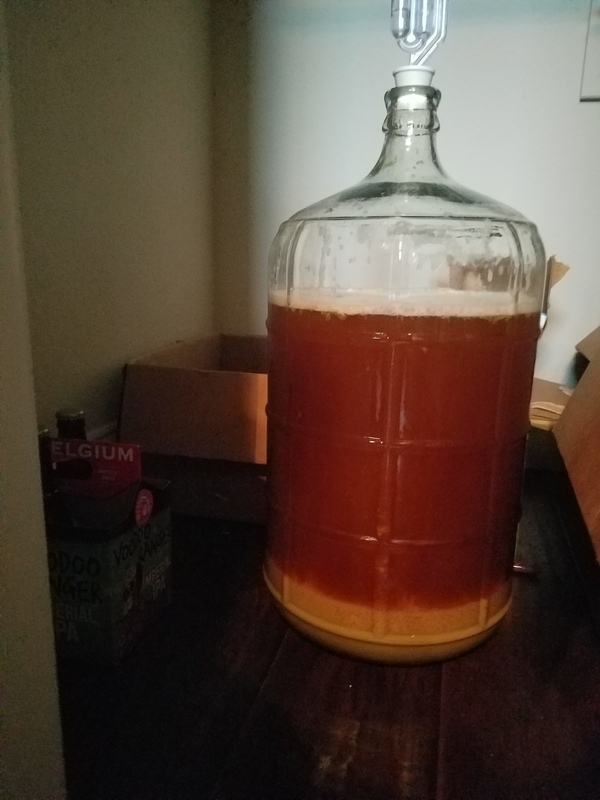 I just took the picture below after pitching the yeast, it has been sitting for 20 mins or so at this point. When I obtained the sample a lot of that trub at the bottom was still swirling around after I aerated it. Should I have waited till it looked like the picture to obtain the OG sample? If my OG is actually that far off is it bad and what could I do to fix that in the future? Are you sure your measuring device is calibrated? 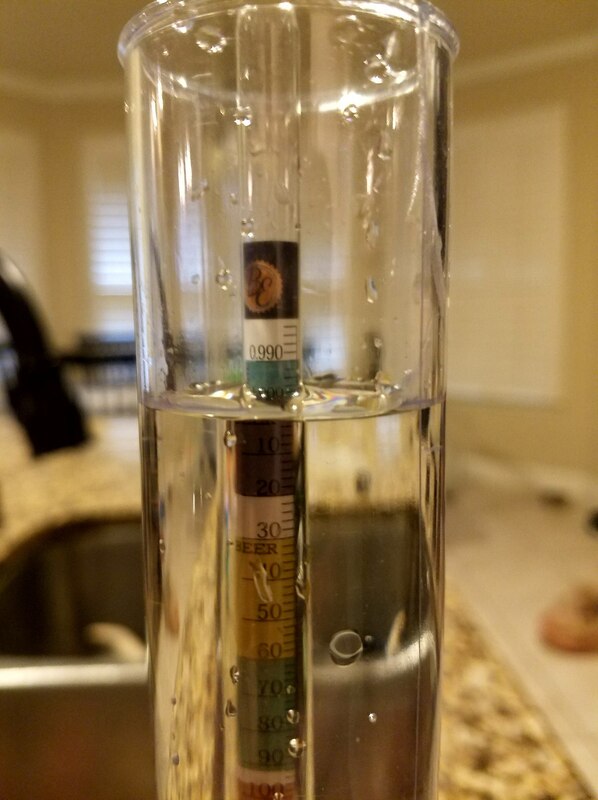 Did you get all the bubbles off if you are using a hydrometer? How did you adjust for temperature? You probably pulled a sample that was not homogenous with wort if you did it after topping off. It needs to be stirred. I usually take my gravity reading before it goes into the fermentor. But I don’t do extract so no topping off. And also what Rburrelli said. Seems calibrated to me. That is tapwater. I used an online calcurator to adjust for temperature. So I was correct to take the sample prior to letting the sediment fall? You were correct. The trub won’t affect your reading. It is really difficult to get the concentrated wort and water to mix but luckily fermentation will accomplish this for you. With extract the recipe is fixed per volume and amount of extract. So, if you used all the extract, and hit the desired volume (in this example 5gals), then your OG should be spot on (maybe a point higher or lower). If you are not doing a full volume boil and top up with water there is always a chance that your OG is low. Not really a problem with extract. If it is a kit the stated OG should be close or you can put all the ingredients into an online calculator to check. This is as long as all the ingredients were used and the volume was correct as @loopie_beer said. Your FG is more important to monitor progress and make sure it is done fermenting before bottling. When/if you step up to all grain the OG will become more important to check your mash efficiency.